Wednesday, 1/30/2019 from 6:30 p.m. to 8 p.m.
Due to overwhelming response, we are no longer able to accept RSVPs for this event. What does it mean to be white in a society that proclaims race meaningless, yet is deeply divided by it? 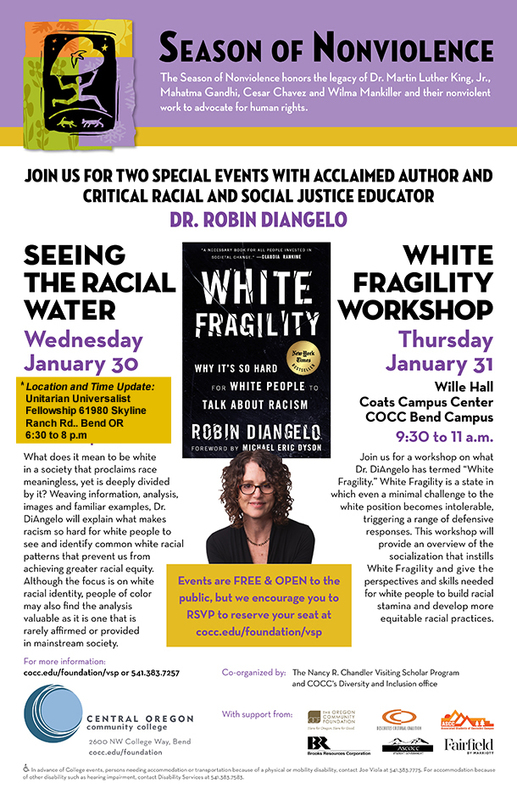 Weaving information, analysis, images and familiar examples, Dr. DiAngelo will explain what makes racism so hard for white people to see and identify common white racial patterns that prevent us from achieving greater racial equity. Although the focus is on white racial identity, people of color may also find the analysis valuable as it is one that is rarely affirmed or provided in mainstream society.